For those who can't quite place the name, Angkor Wat is the largest temple in the world (by area) and is considered by many to be one of the seven wonders of the world. Like some Inca and Aztec cities, the place was forgotten and covered up by the jungle, till French explorers rediscovered the place in the 1860s. Then Pol Pot and the civil war kept Cambodia out of bounds for the rest of the world till the 1990s. 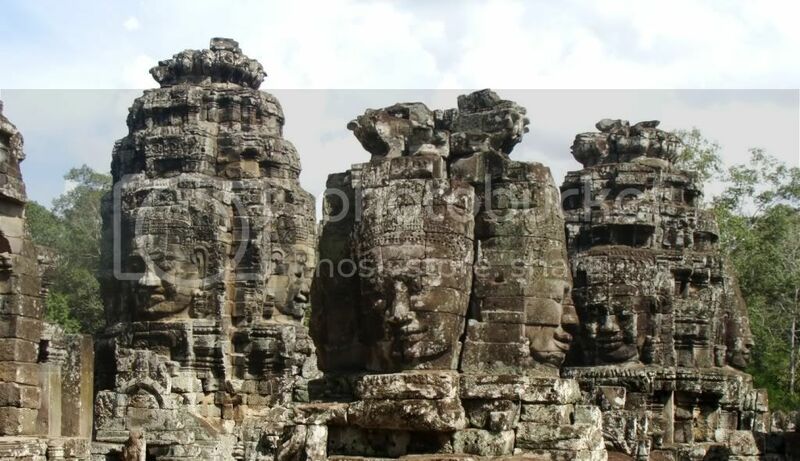 The temple and the adjoining capital city of Angkor Thom was built by the Khmer kings of Cambodia. Their style of architecture borrows a lot from South India and depicts mythology from Hinduism and Buddhism. Tip: Malaysian visa costs Rs 750 and takes 3 working days to process. You need to get it done through an agent who will probably charge you extra. We got ours done for Rs 1,200 each. An alternative way of reaching Siem Reap is through Thailand - flying into Bangkok and then driving overland into Cambodia. There is a quite a bit of information about that route available on the net, if you wish to enjoy Thailand instead of Malaysia. Cambodia very helpfully provides visa-on-arrival to almost all countries (including India). All you need is one passport size photo (35mm x 45mm, white background) and $20 per head. There are a lot of counters and the entire process takes not more than 5 minutes. Once outside, if you do not have an airport pickup, just hail a tuktuk - a contraption that can be described as a rickshaw pulled by the step-thru motorcycle. Airport to Siem Reap is usually $5, so bargain if quoted anything higher. Like India, bargaining works pretty well out there. And don't bother changing into local Cambodian currency - everything is transacted in dollars. Credit cards will work only in hotels and posh restaurants, so carry couple of hundred dollars with you at the minimum. 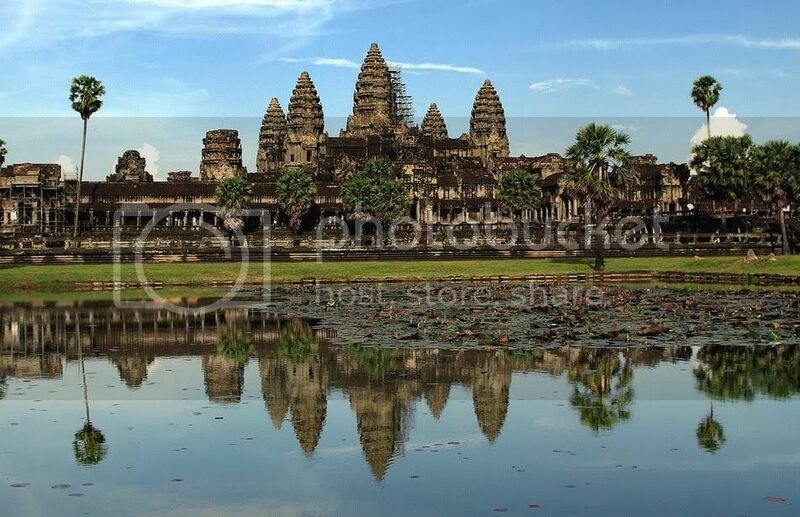 Angkor Wat is the most famous monument in the area, but the nearby citadel of Angkor Thom (with the fabulous Bayon temple at its center) and the further out Ta Prohm and Ta Keo temples are magnificent in their own right. 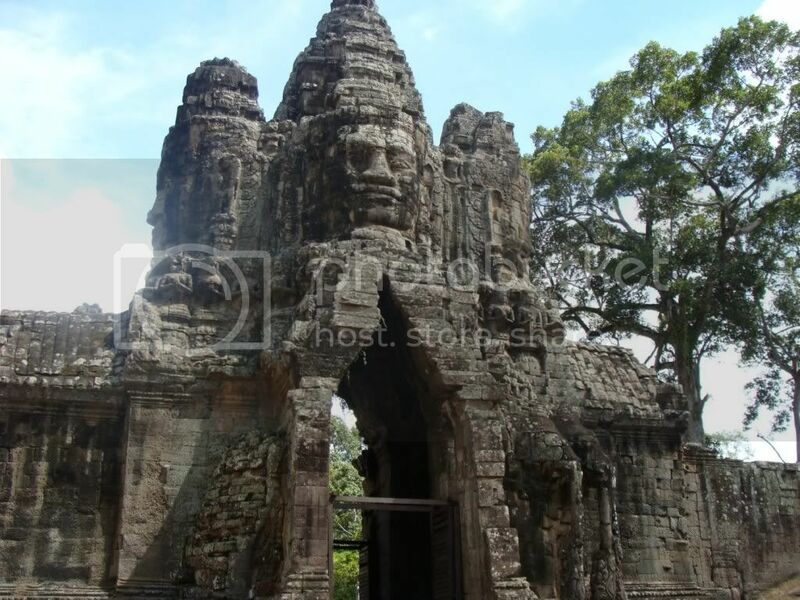 Apart from these we also saw Preah Khan, Bantaey Kdei, East Mebon, Pre Rup, Bantaey Srei, Kbal Spean, Prasat Kravan, Thommanom and Chau Say Tevoda temples. Each temple has its own unique facets and if you have all the time in the world, you could spend a week here looking at the temples, but three days should be optimum to cover the area and in a cinch, you can do Angkor Wat in two days. These can be covered in two days comfortably - you can try for special viewings such as sunrise at Angkor Wat or hot air balloon viewing of the Angkor area. The hot air balloon costs $15 per head for 15 minutes - but gives great views of the entire area apparently. Also sunset viewing at Phnom Bakheng is considered pretty good, but since it is situated on top of a natural hill, reaching there needs about 30-40 min of climbing (at the end of the day, after all the walking around). Alternatively, you can take an elephant ride which charges US$45 per person to-and-fro. We didn't do this. 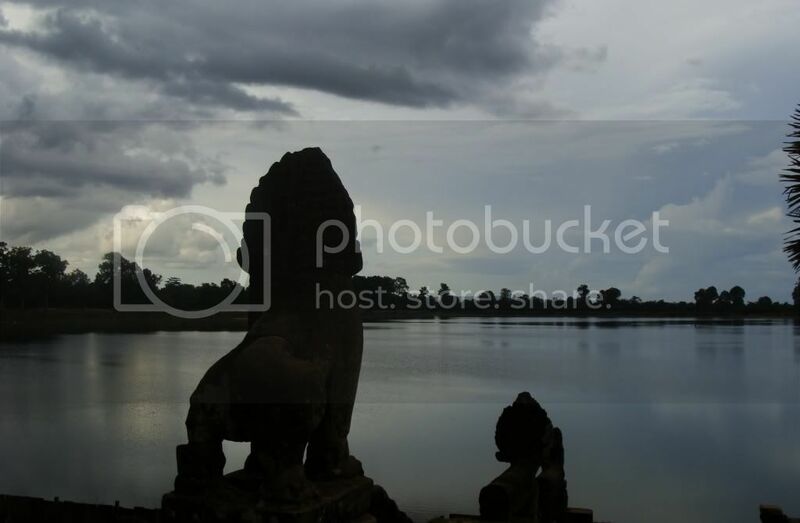 Instead we watched the sunset at Srah Sreang, a lake in front of the Bantaey Kdei temple. 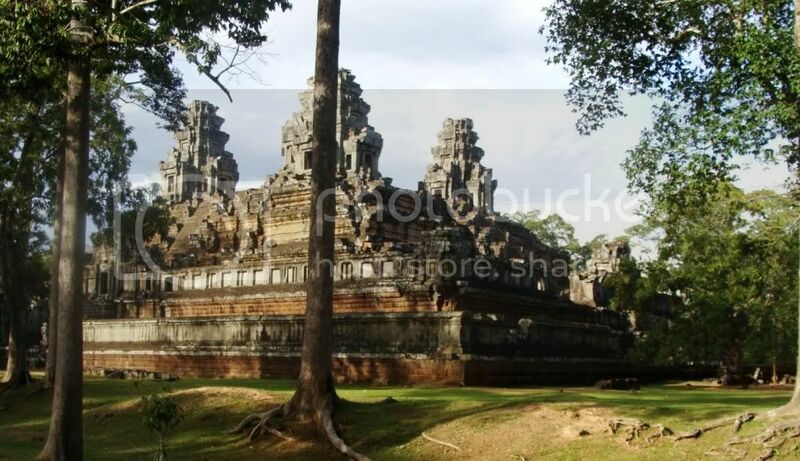 For the third day, you can fit in additional temples such as Banteay Srei (which is 37 km or a good 60 min drive from Siem Reap), Pre Rup, East Mebon, Prasat Kravan etc which form the outer circuit of temples. Of these, Banteay Srei is definitely worth a visit for two reasons - the drive is over really wonderful roads and through very pretty Cambodian countryside, and Banteay Srei has the best carvings among all the Angkor temples. 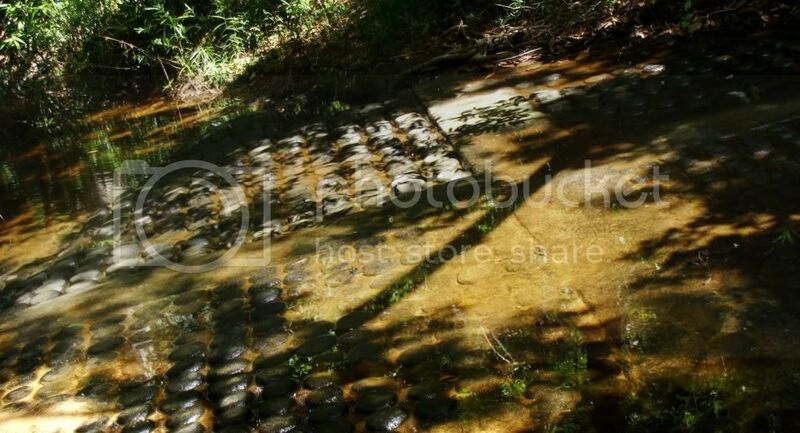 Close to Banteay Srei (half an hour away) is Kbal Spean where there is a small stream with some 1,000 lingas carved into the bed of the stream and some other carvings. However, the site involves a 1.5km trek through the forest (most of it uphill) which took us about 45mins. The carvings really aren't worth the hike and the stream is really tiny, but it was nice to walk through the forest, so you can do it if you feel up for a trek. Apart from the Angkor temples, the other attraction in Siem Reap is the Tonle Sap lake. The Tonle Sap lake is a large & shallow fresh water lake close to Siem Reap and is a site of a fully floating village. Lot of reviews describe their aquatic life as very interesting, but we gave it a miss. The Tonle Sap lake is notable because in the rainy season, it expands to four times its size due to the waters of Tonle Sap river flowing back into it. This happens because of the high levels of the Mekong river from the melting Himalayan snow. 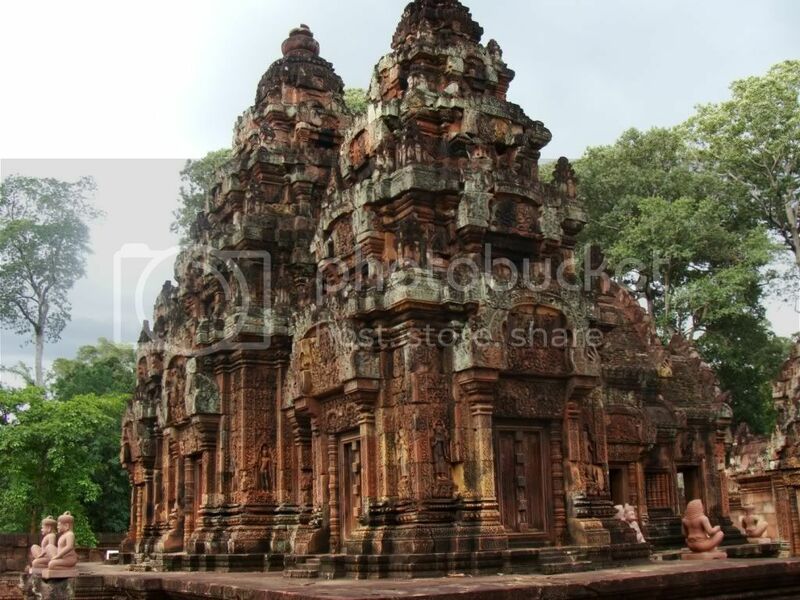 If you have enough stamina, you could finish most of the temples (including Banteay Srei) in two days, but you will probably be miserable from all the trudging around. 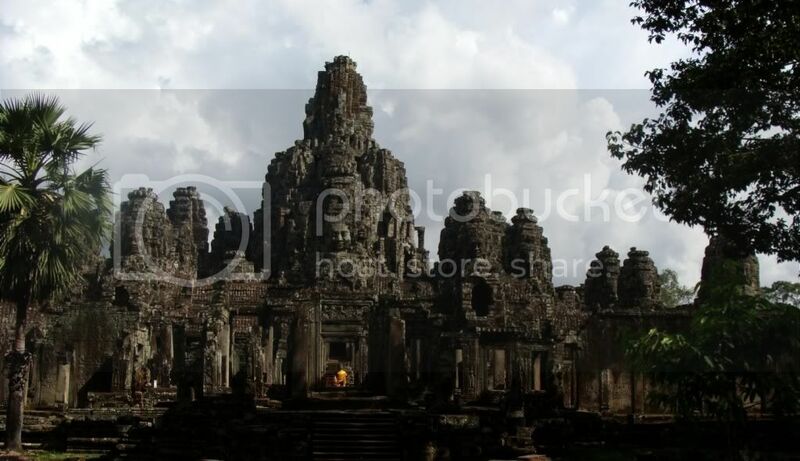 Most of Angkor temples are temple-mountains i.e. they are designed to represent Mount Meru and hence there is a lot of climbing to be done. And the ones which are not temple-mountains, have huge boundaries, so you would have to walk a lot to reach the temples. So in our opinion, Angkor Wat as a destination might not be suitable for the families with grandparents or really young kids etc. Tip: A good guidebook is almost mandatory to enjoy the temples. Do not bother buying one at the airport or in the hotel bookshops. Reach Angkor Wat and you will find little children outside peddling guidebooks from Lonely Planet etc. - and very good quality ones. Bargain down to $1 for the book - and you won't regret it. 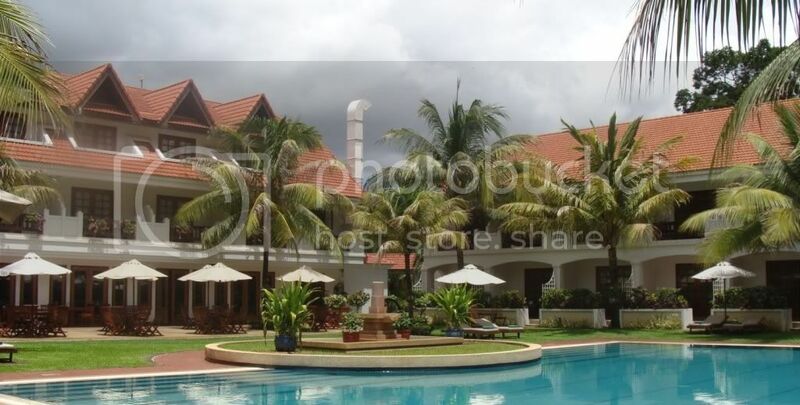 If you are looking for still cheaper accommodation inside the town, Steung Siemreap is the option to go for. Eating options abound in Siem Reap - with many good stand alone (but expensive) restaurants such as the FCC and Cafe Moi Moi. But really good and cheap eating places are to be found in Pub Street - a road dedicated to pubs and restaurants. Beer is $0.50 a mug in almost all of Pub Street and it's a great place to try out local Khmer cuisine - or stick to favourites such as as Mexican, Continental etc. Food is priced really low at Pub Street - a meal for two with two pints beer each wouldnt be more than $10-12 at most places. Try the Temple Club for free Apsara dances during your dinner. Pub Street is almost completely overrun with foreign tourists and is open till at least midnight. Tip: Try staying in a hotel INSIDE Siem Reap town, so that you can walk to Pub Street for all your meals - like we did. 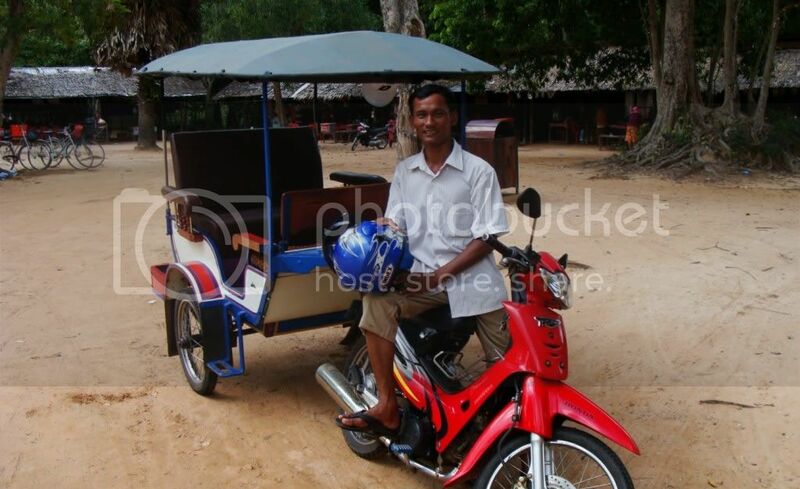 If you are staying in the outer hotels, tuktuks would charge $6 for to and fro. Tip: Do try the local Khmer cuisine. Khmer curries are quite similar to Thai ones, so its very palatable to us Indians. Especially do try Amok, a fabulous chicken dish. The most common (and pleasurable) travelling option was the tuktuk. For viewing temples, the usual way is to engage a tuktuk for a whole day. 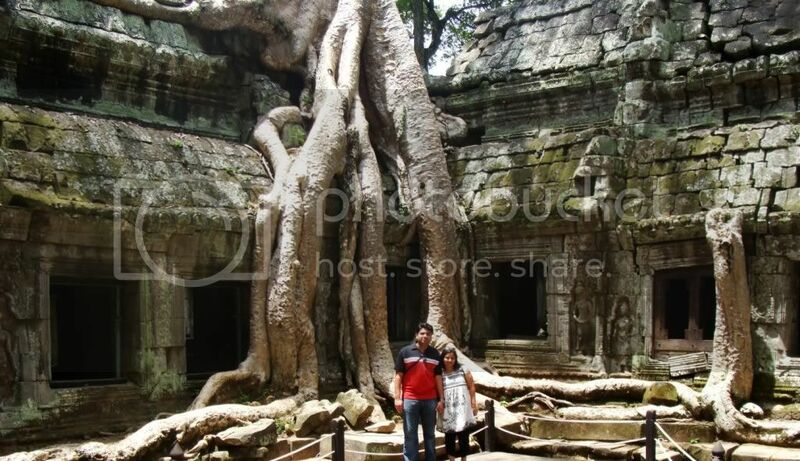 The inner circuit - Angkor Wat, Angkor Thom & Ta Prohm - usually costs $15 for the day. It's better to spell out your entire itinerary (including lunch breaks or sunrise visits etc) at the beginning so that there is no confusion. Single temple visits cost between $6-$10. For the outer circuit temples - Pre Rup, East Mebon, Prasat Kravan - the charges go up to $18 for the day. If you include Banteay Srei and/or Kbal Spean, which are much farther off, cost goes up to $22-$25 for the day. If you visit during the summer months, taking an AC car might be a better option. Cars are priced higher of course - the inner circuit will cost you $25-$30 for the day. We had mixed experiences with a guide. While he did know a lot of interesting trivia about the monuments which no guidebook will tell you - it's much more fun to explore a ruined temple on your own. So we employed a guide only on our first day - and the other two days we wandered alone.